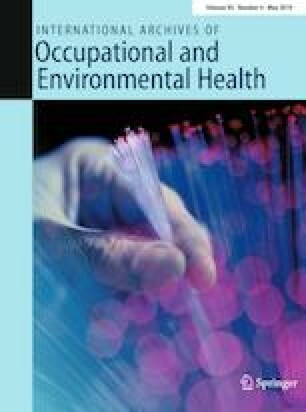 To investigate whether self-reported exposure to workplace bullying predicts the risk of disability pensioning among employees in two occupational groups—(1) employees working with clients or customers and (2) office workers and manual workers—and whether leadership support and occupational group moderates that association. Survey data from 24,538 employees (112,889 person years) were fitted to a national register containing information on disability-pension payments. Using multi-adjusted Cox-regression analysis, observations were followed in the register to assess the risk of disability pensioning. The average follow-up time was 4.6 years (standard deviation [SD] = 1.5). Self-reported exposure to workplace bullying predicted an increased risk of disability pensioning (hazard ratio [HR] = 1.46; 95% confidence interval [CI]: 1.15–1.86). This association was moderated by leadership support: the association between workplace bullying and disability pensioning was significantly different for respondents who reported low leadership support (HR = 1.97; 95% CI: 1.38–2.80) compared to respondents who reported medium (HR = 1.03; 95% CI: 0.60–1.76) or high leadership support (HR = 1.08; 95% CI: 0.60–1.95). Further analyses showed similar associations between workplace bullying and the risk of disability pensioning among the two occupational groups. Self-reported workplace bullying increases the risk of disability pensioning, and this association is buffered by leadership support. Workplace bullying should be considered an important workplace stressor. This study indicates that workplaces may enhance worker retention by actively promoting measures to eliminate the occurrence of workplace bullying and to enhance leadership support. This work was supported by the Danish Working Environment Research Fund (Grant no. 20100019956) and the Danish Council for Independent Research (Grant no. 1319-00092). The funding bodies played no role in the data collection, the formulation of study hypothesis, the analyses, or the interpretation of findings. The authors also wish to thank two anonymous reviewers for their helpful comments to an earlier version of this manuscript.